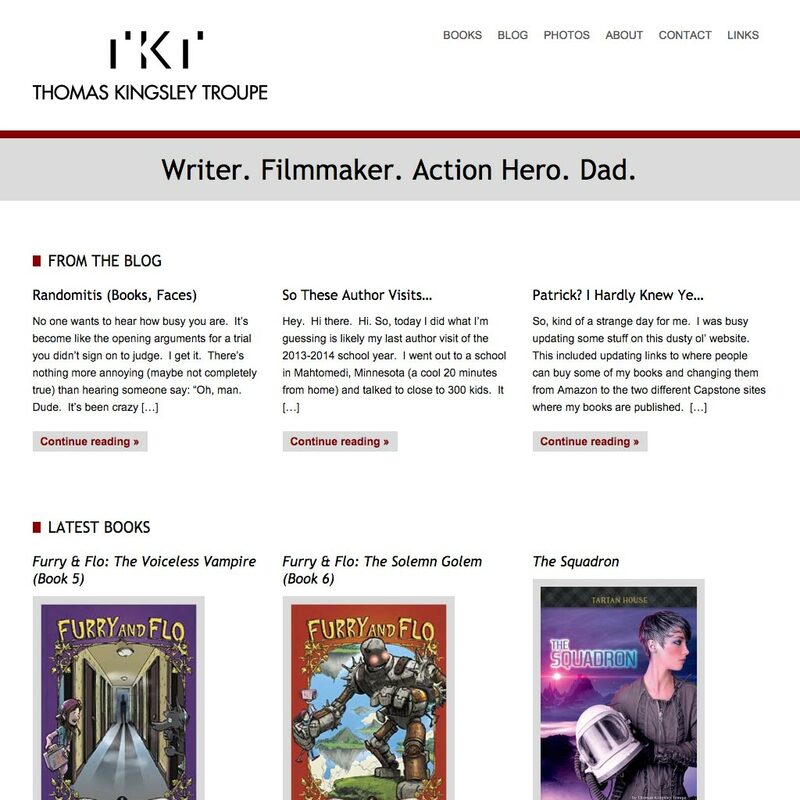 Thomas Kingsley Troupe had one directive for his new site: classic. I worked with him to build a clean, minimal site to showcase his creative works in writing, film, and photography. All of the content is managed through WordPress. I was fortunate to have Jared build my website for me. As someone who knows nothing about the behind-the-scenes stuff for web design, Jared was infinitely patient when answering my questions and listening to ideas I had for the site. He's got a great eye for detail and produced a design that was far and away better than I could have hoped for: A clean, simple look and feel to the site, easy to maintain, and eye-catching. Even more impressive? The speed at which he delivered the goods was amazing. Within hours, Jared was presenting me with logo ideas, page layouts and suggestions for what my website would deliver. I actually found it hard to choose! Bottom line? Jared did amazing work on this project. As an up-and-coming children's author, I proudly direct people to my website. Hats off to Mr. Ringold for an extremely satisfying experience.